NEW PARIS — Each year the Department of Agricultural Communication, Education and Leadership at the Ohio State University sends students to high schools around the state for 12 weeks in order to gain real world experience in the classroom. This year, the agricultural education program at National Trail High School and National Trail-MVCTC FFA welcomed student teacher Cody McClain, a senior in the College of Food, Agricultural and Environmental Sciences majoring in agriscience education. While student teaching at National Trail, McClain is under the guidance of agriculture teacher and FFA advisor Eric Kennel. 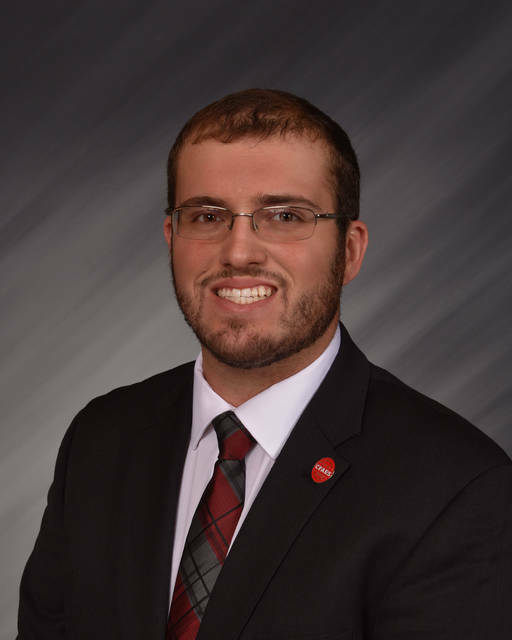 Upon completion of his student teaching experience, McClain will earn a bachelor of science degree in agriculture with a major in agriscience education and minors in production agriculture and agricultural systems management. He is a graduate of Upper Sandusky High School. Agriscience education is one of three undergraduate majors within ACEL. This major prepares students to acquire a license to teach agricultural science in secondary high schools through extensive training in agriculture science, educational psychology, instructional methods and youth development. For additional information on the agriscience education major visit acel.osu.edu.